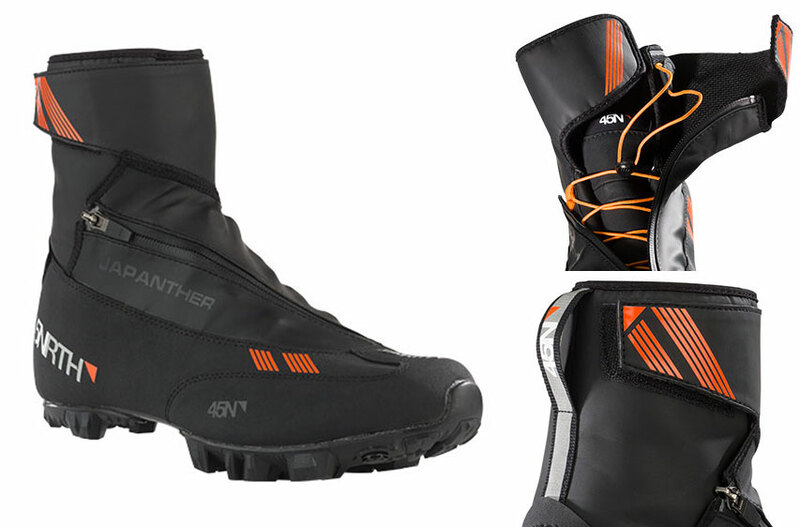 We are excited to release the first of three new or redesigned boots from 45NRTH - JAPANTHER. Stepping in for the Fasterkatt, Japanther fills our transition season space. A completely redesigned upper warrants the name change and provides a better fit for a broader range of feet. Designed specifically for cool and wet conditions, Japanther provides a high level of water resistance, moisture regulation and comfort in a performance cycling shoe. One of the first things you'll notice is the placement and direction of the zipper. By orienting the zipper flat across the top of the foot, from big toe to outside of ankle, stress is reduced which optimizes the performance of the zipper coils. Combining that with the adjustable ankle pipe, the 2016 Japanther will fit a wider range of foot shapes and provide extra adjustability and comfort. Under the foot, the sealed cleat pocket on both 2-bolt Mountain and 3-bolt Road outsoles keeps water from entering through the mounting holes. On the mountain outsole, the open lug patterns sheds mud and reduces weight. 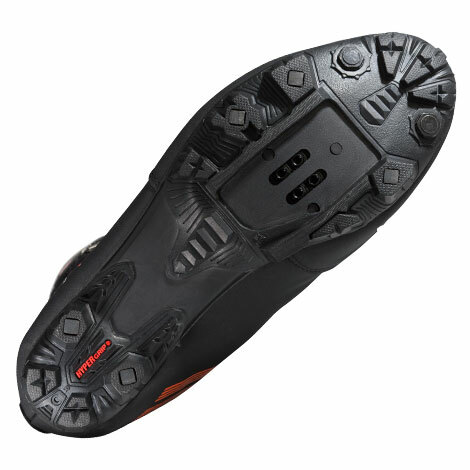 Anti-slip micro-glass fillament lugs placed under the toes and heel enhance grip on slick surfaces. The road outsole features nylon bumpers on the toe and heel. Both versions share the same nylon midsole which provides stiffness and support for long rides and competitive cyclocross activities. JAPANTHER will be availabe in full sizes 36 - 50 (no 49) and will be available in late September at dealers for $225.